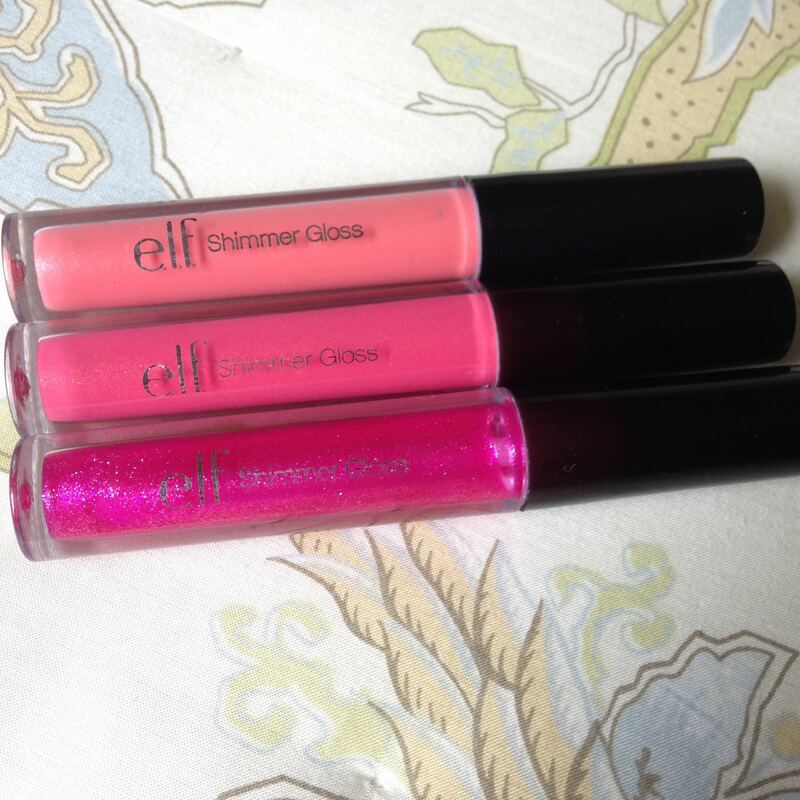 I wanted to give a review and some swatches of these limited addition e.l.f. 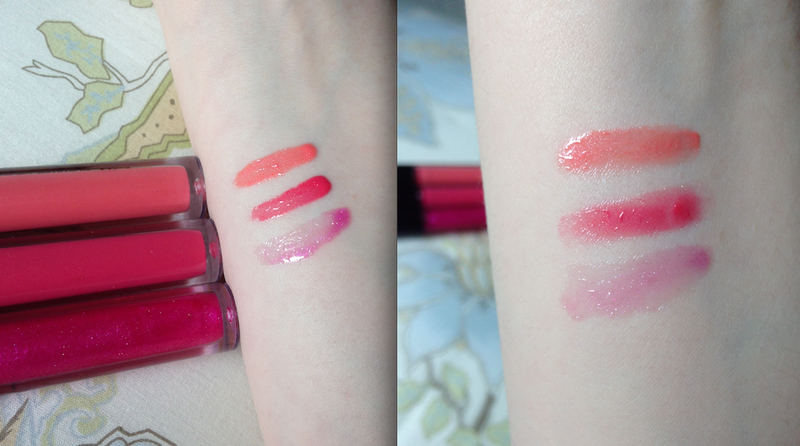 lip glosses! You can find them here on the e.l.f. website. The pack is a part of the essential line, so they are $1 each, $3 for the pack. 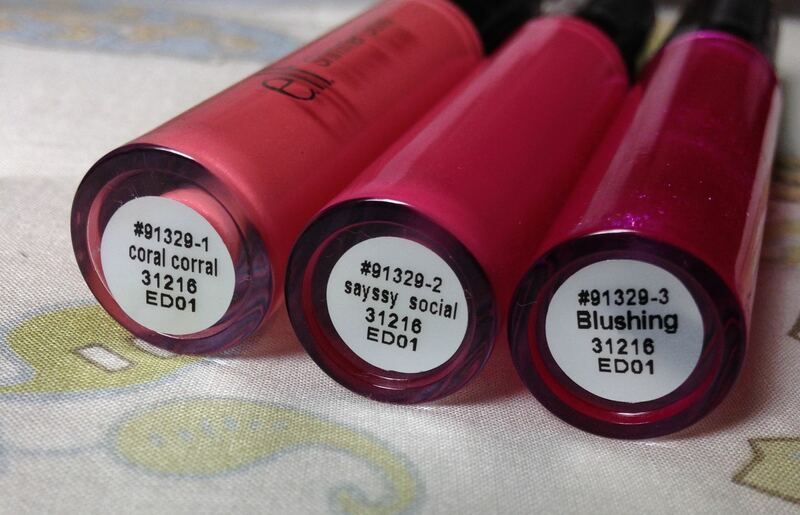 There is a coral (no shimmer), a strawberry pink (golden shimmer), and a clearish, bright pink (silver/blue glitter). The coral and the pink are the only two that you could wear alone and get a good color payoff. The last one would really just be to top off a lipstick or a stain. There is a slight scent, almost vanilla, and they aren’t too tacky. Overall, you’re getting what you pay for, but they aren’t bad. If you need something to throw in your cart for free shipping or if you really like lip gloss I’d say go for it, but they aren’t an e.l.f. must-have product. 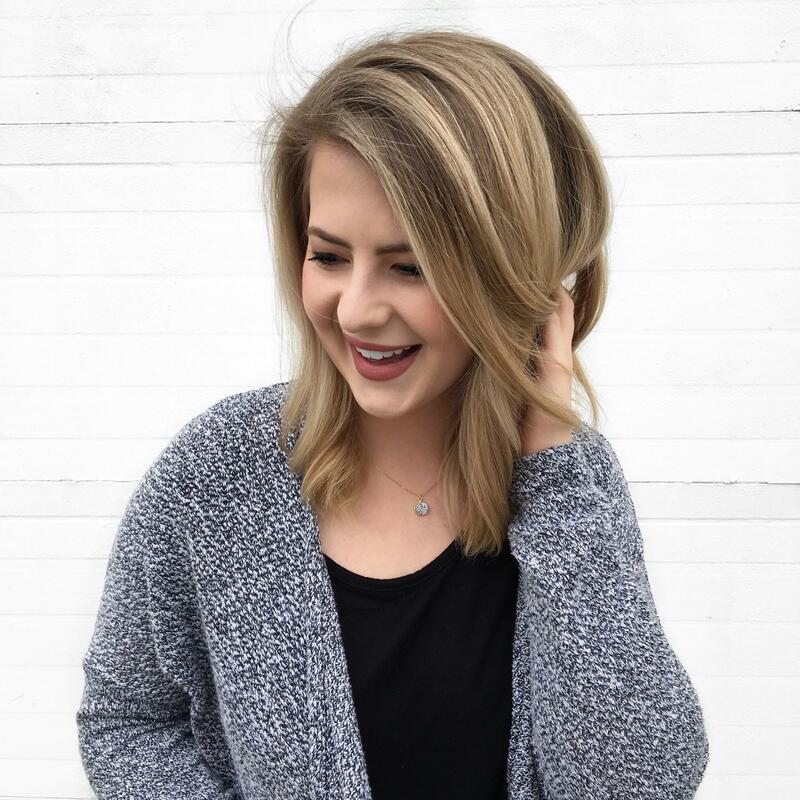 Previous Post Let’s Talk Hair & Product Reviews!